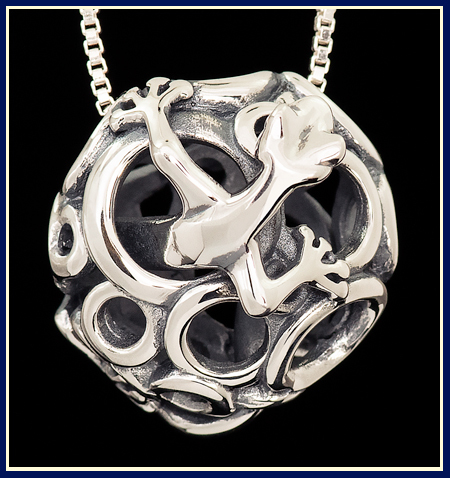 A fanciful, abstract and fun necklace with an animated gecko crawling in and out of the holes of a hollow filigree form. 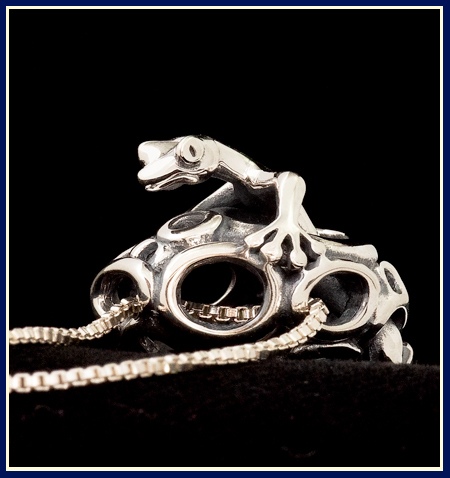 This imaginative design, handcrafted and cast in sterling silver, boasts incredible detail and complexity of design. Creating hollow seamless forms is always quite a difficult process. 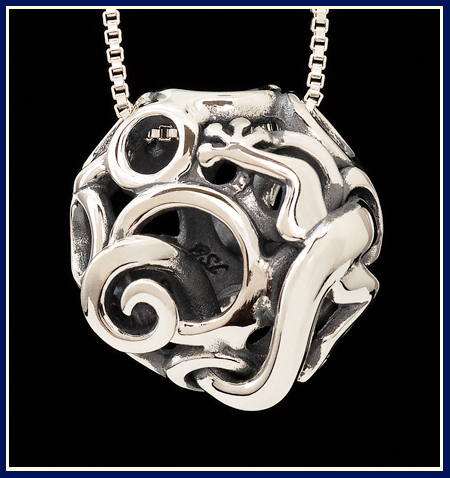 Adding the element of a figure weaving back and fourth through this filigree bead presented several new challenges for Jeni to undertake. 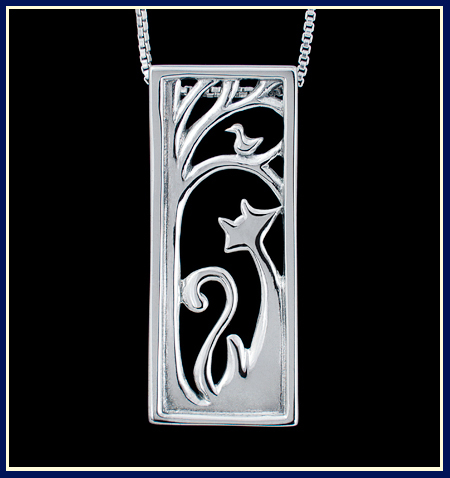 To date this has been her most challenging and, at times, was a rather frustrating piece. 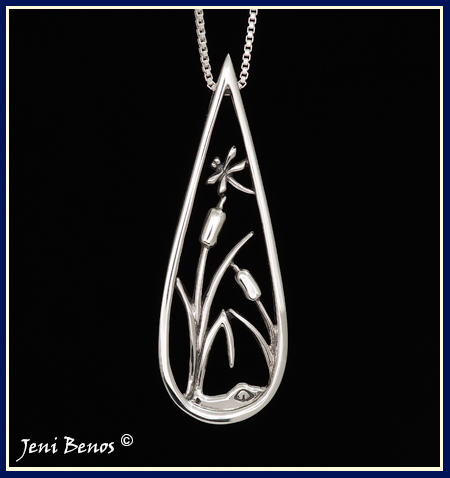 Jeni's hand carving on Anomaly exceeded a hundred hours of meticulous work under high power magnification. 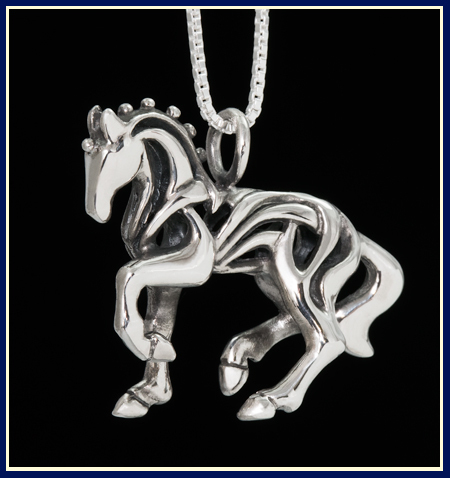 All of her dedication in developing this unusual sterling silver necklace was certainly well worth the effort! Anomaly makes a wonderful conversation piece with its unique and unconventional spirit!